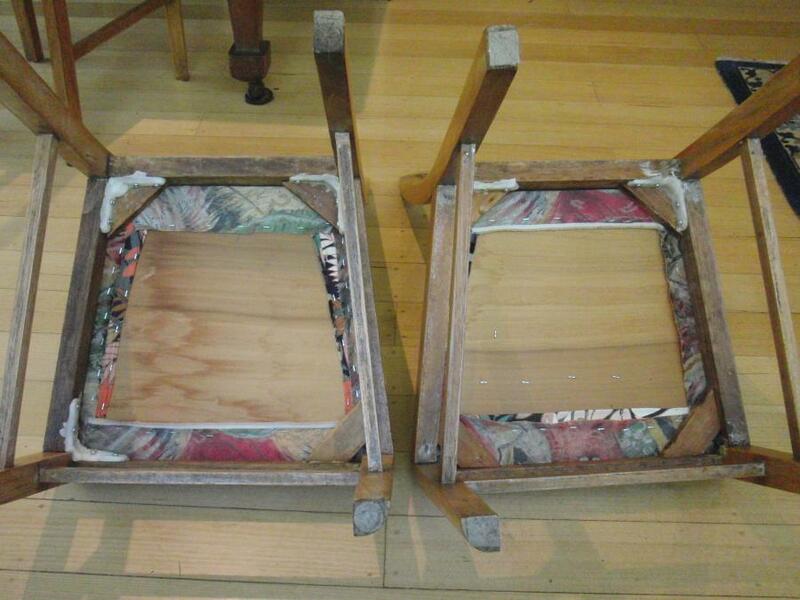 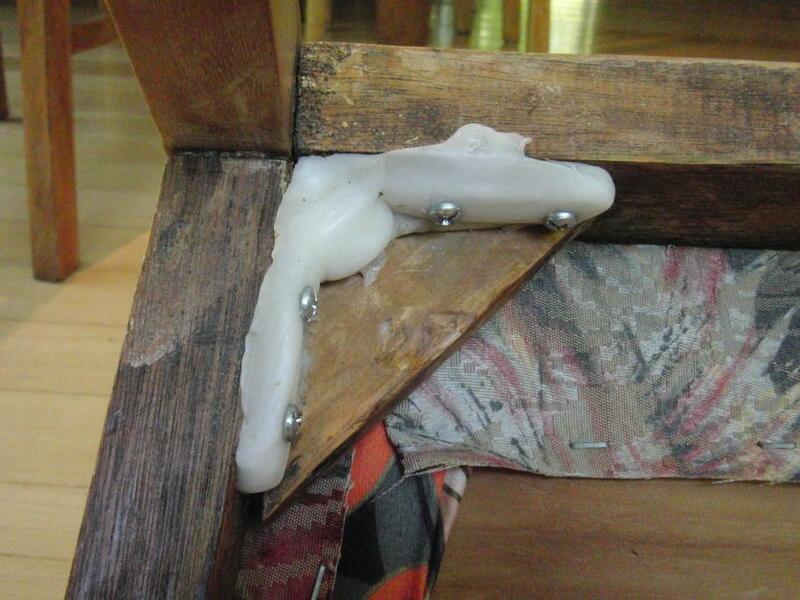 David put together this ingenious fix for some wobbly chairs. 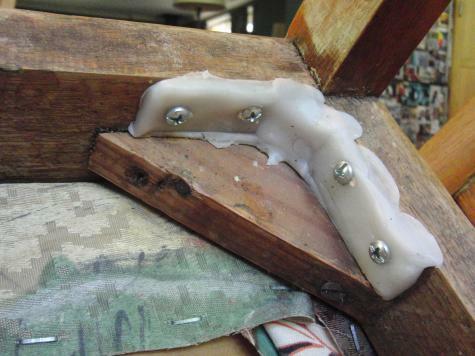 First, Plastimake was pushed into the corners and allowed to cool. 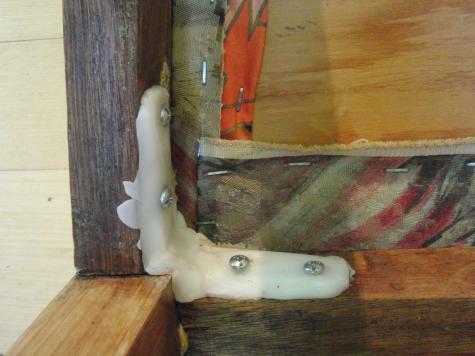 Because each bracket was moulded in place it provided a perfect snug fit to the wooden frame. Screws were then added to reinforce the Plastimake brackets. 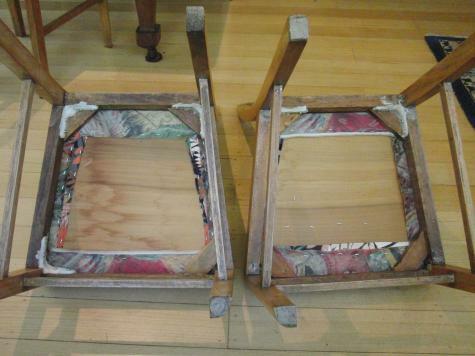 David reports that the chairs are now very stable, solid enough for many more years of use.